The Landmark Resort began life as a “luxury hotel” in Myrtle Beach at a time when “luxury hotels” were a rare treat to find. When the condo craze hit the area, the hotel received a total makeover and became the popular “luxury condo resort” it is today. Extraordinary amenities take luxury to the next level at the Landmark. 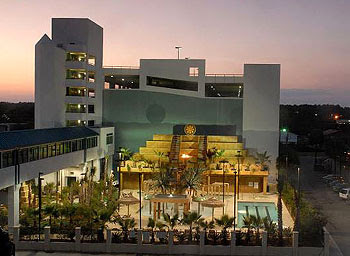 The incredible outdoor waterpark offers hours of fun for all ages. Relax in the indoor pool or lounge in the sun by the outdoor pool, soak those achy muscles in one of the hot tubs or just float down the lazy river without a care in the world. With their very own pools, splash pools, and other water activities, you won’t be able to get the kids out of the water. Near the waterpark, there is a small miniature golf course for more family fun and an onsite lounge where adults can unwind with a favorite beverage. Game rooms, conference rooms, an ice cream shop, a pizza parlor, excellent restaurant and more offer a variety of opportunities. There is even a new gift shop and an onsite convenience store so, even if you forget your toothbrush, it’s no problem. In the 60s, at the height of “beach music revolution” this was the place to be. 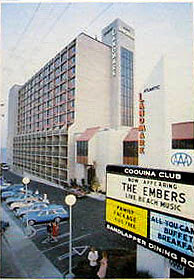 South Carolina’s premiere beach band, The Embers, was well-known at the resort. 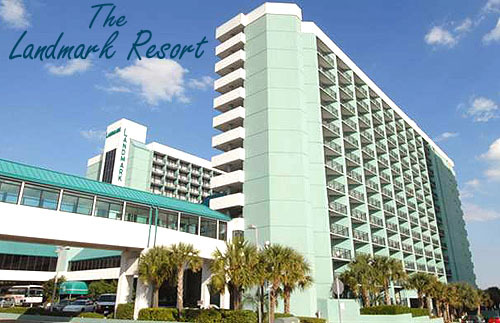 They recorded their epic beach music album, “The Embers Live at the Landmark” here. Baby Boomers, especially, enjoy strolling down “memory lane” while listening to the carefree beach music of their youth. Make the Landmark your home away from home and you can spend every vacation reliving those happy-go-lucky days in luxury. If you are looking for an attractive rental property, these are some of the best on the beach. Learn more about the area and see current listings on our website. Call our real estate professionals with any questions you have or to schedule a private tour of the condos for sale at the Landmark Resort.